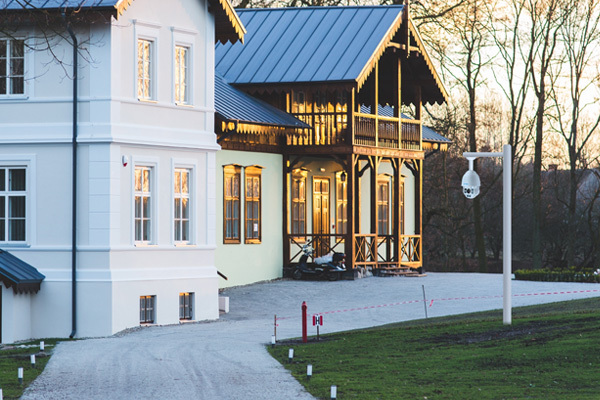 To help you pick the best driveway security cameras, we carefully considered various features that are important to you, and summarized the below 4-point checklist. Also we’ve included the driveway security cameras and systems top picks that would fit your security needs and budget perfectly. If you want to install security cameras for your long driveway, you’ll get a step- by-step guide to DIY installing your CCTV cameras quickly. If you have any questions or insights, leave them in the comment below. We will feature your points in this list! All of your needs you want in your driveway alarms with cameras will be addressed in this ultimate buying guide below. Your security cameras for driveway should be able to handle harsh weather, like cold, rain or shine for outdoor use. For example, by installing a driveway gate camera with IP65 or IP66 rating, you can keep tabs on who is coming and going from your driveway. IP rating defines the capability of a security camera enclosure protecting the camera from dust and water. 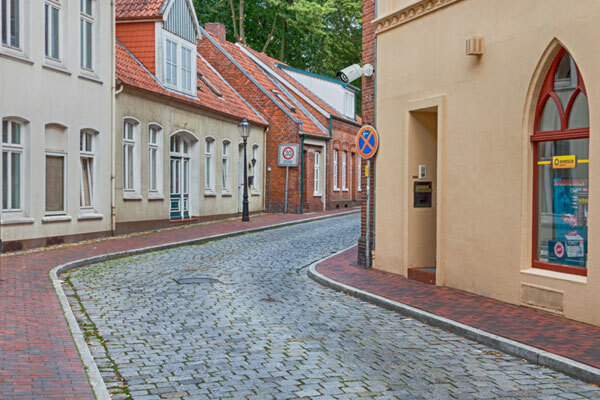 Take an IP65 home driveway security camera as an example. Under such weatherproof rating, this camera can withstand dust and water jets. So you can install this camera on your front-lawn, garage or any positions facing your driveway to check if everything is going smoothly. Driveway surveillance cameras with long range night vision enables you to catch car thief from a long distance. Most driveway security cameras use infrared night vison type, enabling you to check things clearly, like license plates, human’ faces, etc. even in low-light conditions, or in utter darkness. Take RLC-410W infrared night vision wireless driveway security camera as an example. You can see things super clearly even from 100ft away. A customer who bought this camera shared a video how this camera stopped a car break-in. You can watch the below video below. Some security cameras offer starlight night vision, that is much clearer than infrared type. You can take a look at the below video to see the color night vision of a starlight security camera. There is another night vision security camera type for your driveway — security light systems with cameras. The lights will be turned on if there is someone approaching the detecting area. But the drawback is that the night vision images captured by the security light system with cameras tend to be blurrier compared with the above 2 types night vision security cameras. Long driveway security cameras with high definition can help you capture crystal clear images. Now there are 3 popular high definition security cameras for your driveway: 2MP, 4MP and 5MP CCTV surveillance cameras. Typically, security cameras with higher megapixels tend to shoot clearer images. You can take a look at the clear video captured by a 4MP driveway security camera. If you are looking for a single security monitor system for your long range driveway, better go for a 4MP or 5MP security camera. You can still get security cameras & systems for your driveway surveillance even without Internet. Option 1. 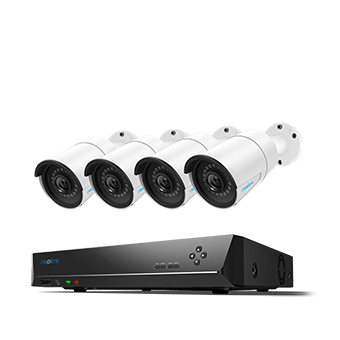 Get a complete security camera system. Take RLK8-410B4 WiFi driveway camera system as an example. The cameras will connect to the NVR (for video storage) automatically with their own proprietary Internet after power them on. You can get 24/7 video surveillance for your driveway without Internet access. You can play back the recorded videos and back up the important events. Option 2. Go for a 4G security camera. You can get remote access to your driveway, and get motion detection alerts pushed to your iPhone or Android mobile phones with this type of security camera. 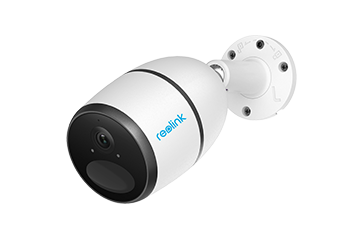 Take Reolink Go cellular 4G rechargeable security camera as an example. This camera operates over cellular network, without relying on a dedicated router to get WiFi connection, which enables you to view and protect your driveway even without Internet and power supply. This camera can be also self-powered, which means that you can add a solar panel to this camera for continuous power supply so you don’t need to charge the camera on a regular basis, like once per month or 2 months. We list 3 driveway security cameras for your choice, including PoE, WiFi, and battery powered security camera types with free shipping and no subscription fees. This driveway surveillance camera has both 4MP and 5MP version. You can just use one Ethernet cable to connect this camera to the router to get Internet connection. You can check this driveway security camera review for more details. As mentioned above, this camera is the best choice for you to monitor your driveway without Internet access and power supply. If you look for the best game or animal camera for your rural driveway security, this camera won’t let you down. This versatile PoE driveway security system offers you 24/7 video surveillance even when Internet access is unavailable. You’ll get the step-by-step guides to set up and install your driveway security cameras, including PoE and plug-in WiFi and wire-free battery powered types. Here we’ll take RLC-420 PoE IP driveway security camera as an example to show you the complete installation guide. Step 1. Pick a position for your driveway security camera. Step 2. Mount the camera to the position, like the wall, that can monitor your driveway with mounting template and the screws come with the camera. Step 3. Run the Ethernet cable from the camera to your router. You may need to drill holes to fish the camera. If the distance between the camera and router is far away, you can add the Ethernet extension cable. You can take a look at this detailed guide to help you run security camera wires. Step 4. Install and launch Reolink App on your iPhone or Android mobile. When your smartphone and your driveway CCTV camera is connected to the same router (in LAN), the camera will be added to your phone automatically. You can get live streaming at once. A DIY lover shared a video about installing this security cameras to monitor the outside environment. You can get some insights in his DIY project. Same as the above. 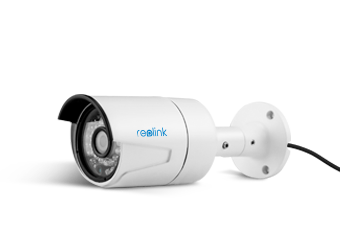 We will take RLC-410W WiFi driveway security camera to show you the A-to-Z installation guide. Step 1. Choose the potion you want to install your WiFi driveway surveillance camera. Typically, a position that is close to a power outlet is a recommended placement. Step 2. Plug in the camera into the power outlet. If the power outlet is unreachable by your driveway camera, you’ll need to run power cable for the camera. You can also opt to install a UPS (uninterruptible power supply) for your plug-in driveway wireless surveillance camera when the power outlets are unavailable. Step 3. Install and launch Reolink App on your smartphone. Same as the above PoE type, the camera will be automatically added to your phone when your mobile phone and camera are connected to the same WiFi. Now you are free to access your camera to check your driveway anytime you want. You can check the below guide to install your battery operated driveway security camera, taking Reolink Argus® 2 as an example. Step 1. Install the rechargeable battery into this driveway wire free security camera. Make sure this camera is within in the WiFi range. You’ll get the verbal instructions to set up the camera. Step 2. Download and launch Reolink App on your mobile phone. Step 3. Name your camera and create a new password for it. Now you can get access to this camera! If you want to make it hidden, you can dress this camera with the skin. 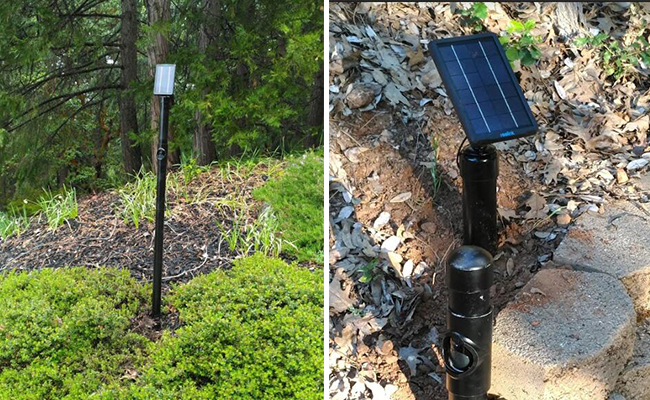 A genius made a hidden driveway camera with this camera and the solar panel. Check the DIY lover’s creative work in the below image. If you have any questions or insights about driveway security cameras you wanna share with us, leave them in the comment below! This entry was posted in Buyer's Guide and tagged Driveway Security Cameras.